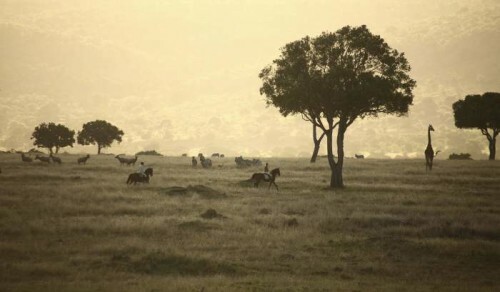 Horse riding in the Cape Winelands is based in one of South Africa’s most beautiful areas. 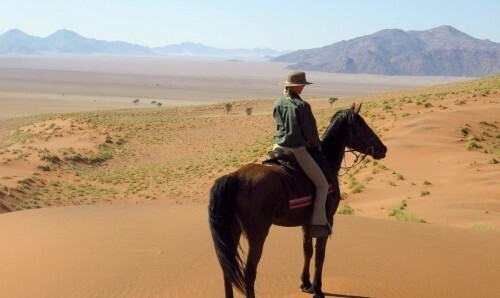 This trip involves horseback riding through the stunning scenery of the Western Cape, just outside Cape Town. Team that, with wining and dining at several of South Africa’s best wine estates, and you might just have one of the most luscious horse rides on the planet! The Winelands area of the Western Cape is considered by many, one of the greatest winelands in the world, boasting the most spectacular scenery. Splendid mountains form a dramatic backdrop to lush vineyards, dotted with gabled Cape Dutch homesteads, steeped in history. 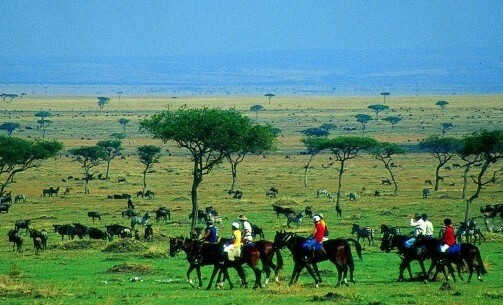 Spend the mornings on horseback, enjoying long free canters, before reaching that day’s lunch spot. Dismount and be met by delicious wine tastings and fine cuisine throughout the week. In the afternoon, remount, and enjoy a peaceful afternoon ride, soaking up the gorgeous landscape and feeling beautifully content. With its magnificent natural beauty, rich cultural heritage and world-renowned wines, the Winelands region is synonymous with all the best that the Cape has to offer. 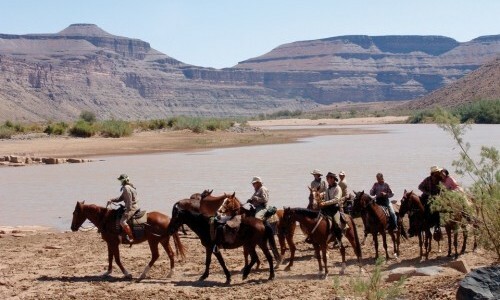 Combining this setting, with the joy of riding great horses through some of South Africa’s best known vineyards, makes for a magical and unforgettable riding experience. The riding centre, and your accommodation, is situated in the centre of the triangle created by the three world-famous wine regions of Paarl, Franschhoek and Stellenbosch in the Western Cape. About 40 km outside of Cape Town, beside the spectacular Cape fold mountains, there are series of valleys known as the Cape Winelands. The area is made up of stunning scenery, dotted with a collection of historic towns, little hamlets and Cape Dutch farmsteads that create globally acclaimed South African wines. The dramatic mountains make an idyllic backdrop to the maze of neatly planted vineyards that cover the landscape. A visit to the Cape Winelands will not only include experiencing world-class wineries, but also delicious food. Some of South Africa’s most infamous restaurants have been established here; with Franschhoek being known as the gourmet capital of the country. Cape Town; a place where cultures, cuisines and stunning landscapes, come together to create an awe inspiring and exciting city. A city where, from almost every point, you can see either the sea, a stunning mountain or a quirky piece of architecture. Its showstopper: the magnificent Table Mountain National Park. Table Mountain National Park forms the heart and soul of the city. However, it is a jewel amongst treasure; surrounded by other stunning areas of the city, such as, Kirstenbosch Botanical Gardens, the V & A Waterfront, Lion’s Head Point and many others. The list of activities available here is almost endless, the majority taking advantage of Cape Town’s outdoor spaces. There are countless hikes, mountain bike trails, you can learn to surf, go paragliding, cage dive with sharks or even abseil off the top of Table Mountain. Our sample itinerary outlines the type of rides, wine tastings and other local excursions you will experience when riding in the Cape Winelands. Please note this is a sample itinerary and may be altered due to seasonal changes and weather. All alterations will always be made with your best interests at heart. You are given the opportunity to personalise your stay. 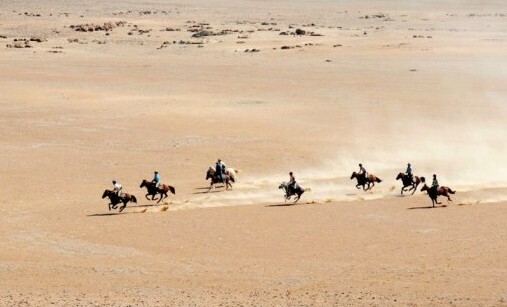 Either book an itinerary in its entirety, or pick and choose from the different options and build your own unique horseback holiday. Based it on personal taste, level of riding experience, size of group and preferred length of stay. Unless otherwise arranged, meals are at quality local restaurants with either a set menu or à la carte. These restaurants have been carefully selected for your enjoyment and showcase the food and wine the region has become so famous for. The 4 Night Trip Leaves Out Days 5,6 and 7. Although This is Flexible. Day 1 You will be met at Cape Town International Airport by a transfer who will take you the 40-minute drive to whichever accommodation you have chosen, at the foot of Simonsberg Mountain in the Cape Winelands – your base for the duration of your stay. Settle in, and enjoy a short ride that very afternoon. 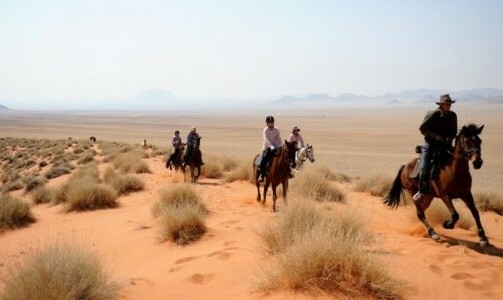 This will be a short, gentle ride, giving you a feel for your horse and the general landscape. Then, back at your accommodation, enjoy poolside sundowners before a seafood dinner paired with local wines. Day 2 Wake up on a glorious African morning and enjoy a delicious breakfast. Saddle-up and ride into local vineyards and orchards, stopping for a brief break at a point offering incredible photo opportunities, with the magnificent Paarl Valley stretched out below. Journey along the base of the stunning Simonsberg Mountain in the direction of your first wine stop of the day; Anura Wine Estate. The route offers some great canters and wonderful scenery, before you pull-up and enjoy a wine and cheese tasting. Later strolling over to the charming Estate restaurant for an à la carte lunch with your preferred wine. Meander home through the mountains with an afternoon stop at award winning estate Neil Joubert, a vineyard not normally open to the public and where you can enjoy an exclusive wine tasting. Arriving back at the yard at around 4pm, it’s time to relax before a dinner which will be a culinary showcase of traditional Cape cuisine prepared by local chefs. Day 3 Now acclimatised and comfortable with your horse, today starts with a longer exhilarating morning ride through peach, pear and plum orchards and on to a wine tasting at Backsberg. This is another internationally-acclaimed vineyard and the first wholly organic wine estate in the region. From there ride out across the west side of the Simonsberg Mountain, enjoying more spectacular views out towards the Paarl and Franschhoek Valley and over to the dramatic Great Drakenstein mountain range. The mountain trail takes you through refreshing eucalyptus and pine forests, ending back at the stables. Once back at the stables, take a late lunch at yet another local wine farm. This afternoon provides a break from the saddle and the opportunity to either relax at the accommodation or amble through the historical towns of Stellenbosch, Franschhoek or Paarl, a 10- to 20-minute drive away. Dinner is at a local restaurant, in whichever of these towns you prefer, giving you another taste of local fine dining and wines – an experience on a par with the best international restaurants. Day 4 This morning’s ride is just beautiful. Mount-up and set out into more unspoiled terrain in the district, through new orchards, vineyards and along estate dams. Set your own pace, whizzing along at a fast canter or taking a leisurely stroll, before reaching today’s lunch spot. Spend your afternoon either relaxing or playing nine holes at the local golf course. The day ends back at your accommodation and then it’s another relaxed evening sampling fine local food and wines. 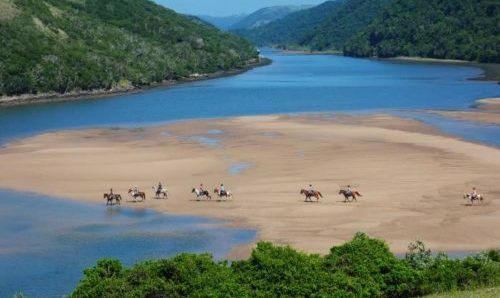 Day 5 - Not in 4 night package Today gives you the chance to play some Western Games in the large sand arena before lunch, followed by a faster afternoon ride through Glen Carlou. Spend the late afternoon strolling through picturesque Franschhoek, a small town famous for its gastronomy and with a historical Bastille influence evident in the charming culture, shops and eateries. Dinner is a relaxed affair back at Cape Winelands Riding’s yard, giving you a chance to see the team and your horses in the stable setting. Day 6 - Not in 4 night package Step it up a notch and head out on a full day’s ride along the Simonsberg Mountain with a picnic lunch in the forest. This is a fantastic route for riders keen on a faster, more invigorating riding through the wood mill forests. 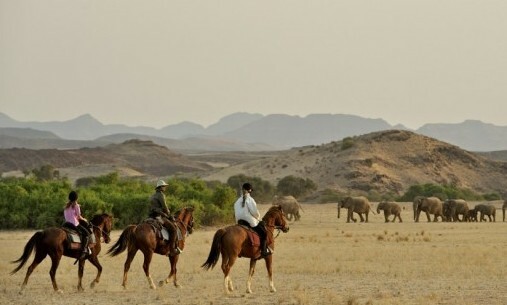 A home-cooked dinner is hosted either by owner Louis, or one of the stable’s local friends, who will pull out all the stops to make you feel one of the family, Africa-style. Day 7 - Not in 4 night package Enjoy another morning ride, venturing into new unchartered trail routes if you are feeling adventurous. After some fun on horseback, lunch will be taken at a popular cheese farm in the area. 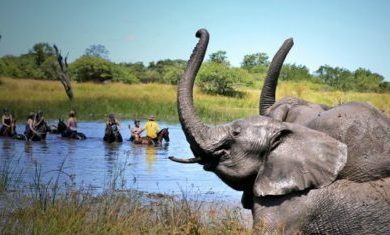 After lunch, there may be the opportunity to let the horses cool off in the dam while you swim with them (strictly weather permitting). Spend your final evening at a local family-owned restaurant, the perfect finish to your Cape Winelands riding experience. Day 8 It’s your last morning and the best has been saved for last. This wonderful and final ride takes you up to one of the most spectacular view points in the winelands where champagne will be drunk and you will reflect on what will have no doubt been an unforgettable week. After you check out, transfer to the airport. If you are on an evening flight out of Cape Town, there is the option to visit the V & A Waterfront in the CBD for shopping and last minute sightseeing. Open all year with flexible start dates. There is no minimum stay but we recommend a minimum of 4 nights. Price is based on entry level rooms. Upgraded rooms can be requested. A£570 Per person per night sharing. Price is based on entry level rooms. Upgraded rooms will be quoted on application should entry level rooms are not available. £480 Per person per night sharing. No Single Supplement if you book as a single traveller, willing to share. If you would like to guarantee a single room the supplement is a small add on of around £40 per night. Any non riding excursions not specified in the itinerary. Enjoy staying on site at the stable, live amongst the horses, waking up each morning to the sounds of horses whinnying for their food. They are basic but homely and comfortable, with an en-suite shower, a safe and a fridge. They are situated out the back with a few of the fields and mountains, close proximity to the horses but also with privacy. Continental breakfast is provided for you to have at your leisure in your room. If you are looking for something with a few more creature comforts and luxurious then you may which to stay at the local 4* Wine Estate Guest House. This is normally the De Leeuwen Hof. Or perhaps you are looking for really treat yourself, with a stay at the local 5* luxury boutique hotel. 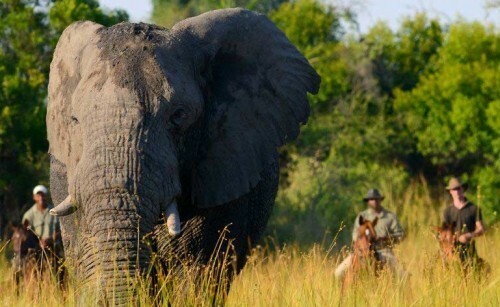 Usually, this is the wonderful Angala – a truly special place to spend some time. If fully-booked an alternative of the same quality will be suggested.